Saudi Arabia has suffered two diplomatic setbacks the last couple of weeks. On 29 September, the UN Human Rights Council passed a resolution to set up an independent investigation of war crimes in Yemen. 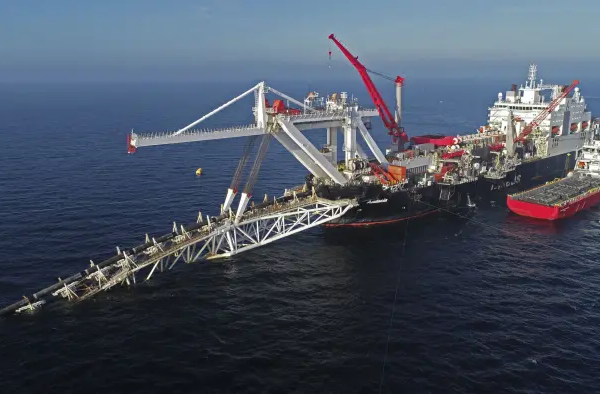 Last year and the year before, the Gulf kingdom was able block this, ensuring that official investigations were conducted by the Yemeni government, or itself. This time, by threatening the supporters of a full-fledged investigation, the Saudis have still obtained a compromise. What’s more, it was recently reported that the Saudi-led war coalition in Yemen are included in this year’s “the list of shame”, a nickname for the annual UN report on war crimes against children. Last year, Saudi Arabia bullied the UN to remove it from the list, threatening to withdraw funds and maybe even issue and anti-UN fatwa. Again, it’s not a complete setback, given the report’s conciliatory stance in mentioning the coalition. Hopefully, these events will lead the international community to address the Yemen civil war and push the parties to the negotiation table. At this point, though, it is sufficiently clear that the Saudi-led coalition is committing war crimes and fuelling one of the world’s worst humanitarian crises, with weapons provided by the West. Though the conflict in Yemen has not the size or geopolitical importance of the Syrian civil war, it’s still remarkable how little media attention it has received. Maybe this is due to the fact that Yemeni refugees are stuck on the wrong side of the Middle East and would have to paddle up the Suez Channel in order to reach European shores. During the Arab Spring, Yemen’s decades old President Ali Abdullah Saleh was swept from power by a wave of popular protest. As part of a transition process, he was replaced by Abd Rabu Mansur Hadi, but the new president was unable to contain a situation of increasing economic and political upheaval, so that the regime change effectively created a power vacuum. This allowed the Houthis, a group of armed insurgents from the the far north, who had waged war against the government since 2004, to expand rapidly and overrun the capital Sanaa, in September 2014. After some months of negotiations with the Hadi government, the Houthis made common cause with elements of the military still loyal to Saleh and simply took power. This done, the new alliance pressed southwards, aiming to conquer Aden, the wealthy port town where Hadi and his cabinet had taken refuge. In March, upon requests by Hadi, Saudi Arabia and nine other countries from the region launched a military campaign to push back the Houthis, who they see as an Iranian proxy force, and eventually reestablish the Hadi government. Air strikes were soon complemented by ground troops and a naval embargo. Aden was saved, but since then the situation has not changed much. The Houthi-Saleh alliance still control the northern and central parts of the country, including Saana, while Hadi, backed by the coalition, control parts of the South and East. Since neither a military nor a diplomatic solution seems very probable, the current spiral of disintegration is likely to continue for a long time yet. Similar to the Russian campaign in Aleppo, air strikes on civilians and civilian targets have been reported regularly throughout the Saudi-led intervention. Homes, schools, hospitals, factories, markets, water infrastructure and thousands of civilians have been hit. In a report this year, the UN Panel of Experts documented 10 coalition airstrikes, including the infamous bombing of a funeral on 8 October 2016 in which 132 people died. All of these strikes violated the principles of distinction, as prescribed by international law, some amounting to war crimes. 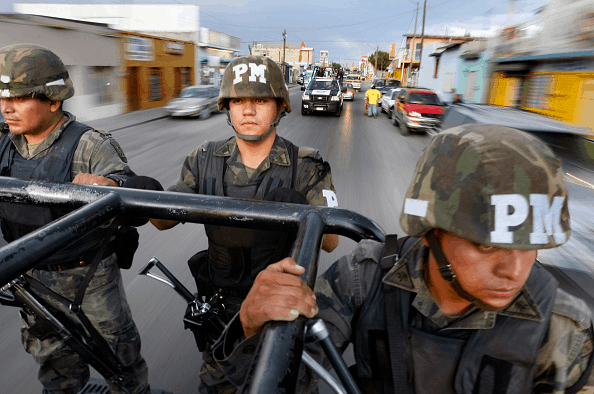 Similar investigations and allegations have been made by Amnesty International and Human Rights Watch. Apart from the direct killing of civilians, coalition airstrikes have destroyed hospitals and water systems, contributing to the world’s worst largest epidemic of cholera. The coalition’s harsh naval and air embargo has restricted the inflow of commercial goods and humanitarian aid, creating what is now one of the world’s largest famines. 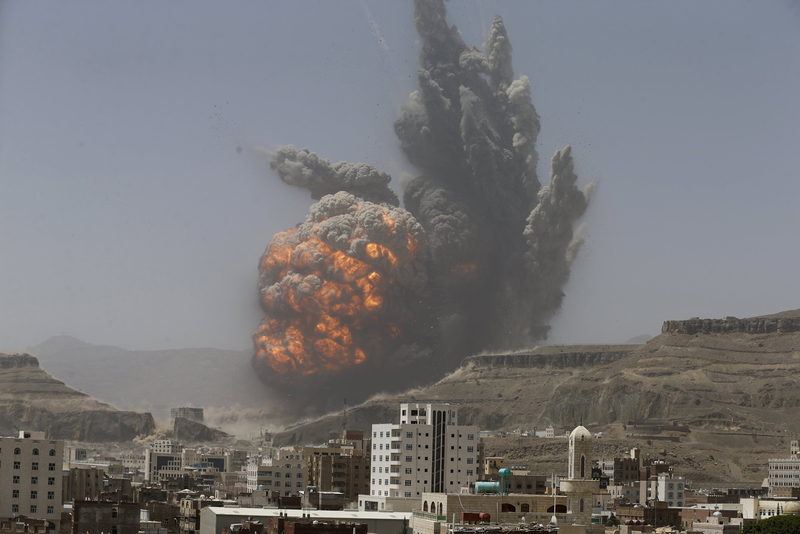 This is not to suggest that the Saudi-led coalition alone is responsible for Yemen’s crisis. On the contrary, all serious investigations accuse both parties of war crimes. However, whereas the Houthi-Saleh alliance is an isolated force, with occasional back-up from Iran, Saudi Arabia has deep ties to many Western countries and its policies in Yemen are directly relevant to Americans and Europeans. Since the beginning of the intervention, the US has provided assistance in logistics, intelligence and military training to the coalition. The US also provides refuelling for the very planes that bomb civilians. From Riyadh, US military advisers are actively involved in the Yemen campaign. Throughout the Obama presidency, arms sales to Saudi Arabia escalated and deals worth more than $20bn were concluded in the course of the conflict alone. In December 2016, with the increasing awareness of civilian casualties, Obama did freeze sales of air-dropped munitions, while ramping up support in other areas. Of course, even these half-hearted objections to Saudi policy were dismissed by Donald Trump, who famously announced a $110bn arms deal with the kingdom on his first diplomatic visit, praising the Saudi war effort. In December 2016, Human Rights Watch had found remnants of American-made weapons in the sites of 23 unlawful coalition attacks. US-manufactured cluster bombs, a weapon banned under international treaty, have also been found in Yemen. Britain also plays a leading role in arming Saudi Arabia. In the first year of the conflict, the British government approved £2.8bn worth of arms to Saudi Arabia . The mentioned funeral bombings apparently made an impact on this, because in the succeeding six months Britain sold only £283 million worth of arms. Like the US, the UK has military advisers in Riyadh. 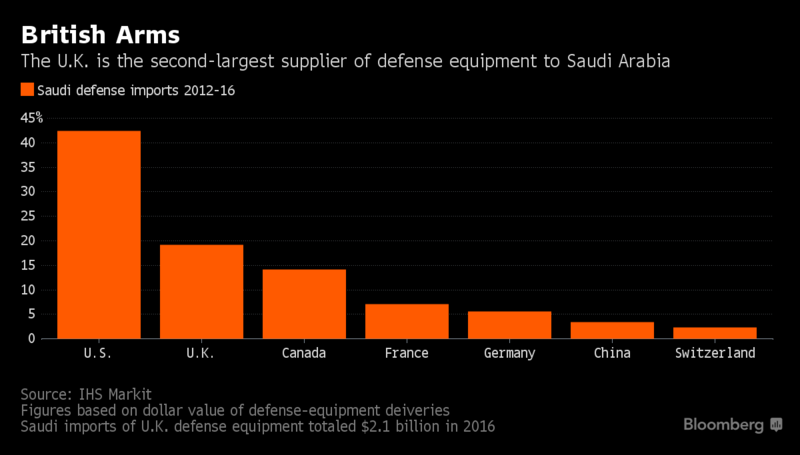 Next to the two Anglo-Saxon nations, Canada, France and Germany are the most important suppliers of Saudi defence equipment. In the course of the Yemeni conflict, they have provided the warring kingdom with tanks, artillery systems and munitions worth hundreds of millions of dollars. All in all, the lion’s share of Saudi defence equipment comes from North America and Europe. Given what we know about the methods of the Saudi-led coalition, the only proper thing to do would be to end arms sales to Saudi Arabia on a national basis and impose an international arms embargo against the country, just as there is one against the Houthi-Saleh alliance. 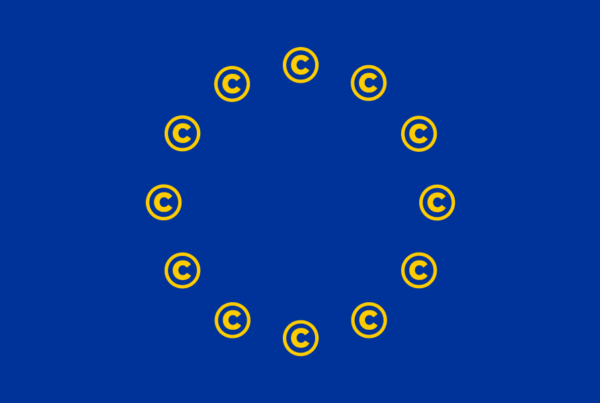 This has been demanded by several actors, including the European Parliament last year. The principle that arms should not be sold when they may be used for war crimes is not itself controversial, rather, it is part of the arms trade regulations of most countries, as well as the European Common Position and the Arms Trade Treaty. However, these regulations are easily set aside when vital interests are at stake. After the funeral bombings in 2016, the British government went ahead issuing arms licenses to Saudi Arabia, estimating that there was no “clear risk ” of humanitarian law violations. This year, a British court made the same estimation in a case brought by a rights group, largely on the basis of secret evidence. Saudi Arabia is an avid consumer on the global arms market and the simple reason for Western governments to encourage arms sales to the kingdom is that it pays off, not only in profits for big bad companies, but also in jobs for their employees. Other arms suppliers, like Russia and China, would jump at the opportunity to replace the Western countries in this regard. Thus the argument, made by some, that a halt of Western arms sales to Saudi Arabia would not stop the atrocious war in Yemen is justified. But it is beside the point. Russia and China would no doubt be glad to support the Saudi effort if it payed off, but if our commitments to peace and humanitarian law are to mean anything, we simply should not put the murder machines in the hands of the murderers. Previous PostDear BDE, why are only the 2A’s throwing parties?